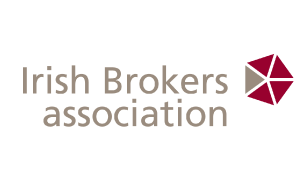 Grieving spouses of buy-to-let investors may be chased by banks to recoup losses after their untimely death, according to the Irish Brokers’ Association. Spouses could be left hugely exposed and may be targeted to pay for the negative equity portion of these largely uninsured properties as banks’ rarely insisted on life insurance being in place for investment mortgages bought during the boom. Instead, it was typically assumed that the ‘asset’ would continue to rise in value and that valuable life cover – which is mandatory on owner occupier mortgages – was merely optional for investors, says Ciaran Phelan, CEO of the IBA. “Uninsured buy-to-let mortgages may represent a real threat to families in the event of the premature death of a parent and nobody’s addressing it”, he said. “While the current bank bailout environment may be holding them back, banks eventually need to recover their loans from spouses or write them off and the latter seem less likely. Spouses of deceased investors – often amateur landlords who bought with the best will in the world, and with highly geared mortgages issued by enthusiastic lenders, find themselves with full exposure if their partner passes away before the loan is repaid. It leaves banks chasing the only other asset in many cases – the family home”. “While most families have their home mortgage insured in the event of death, few took out life cover on any buy-to-let investments on the assumption that their executor or family could always sell it for a greater sum than the outstanding debt. Unfortunately, that is no longer the case, and banks won’t be shy in looking to the estate of a deceased person to recover their debt,” he said.